Pickett's Press is on GILT - starting 3, 2, 1... NOW! Pickett's Press is on Gilt starting 12 noon today, shop now for fab deals! 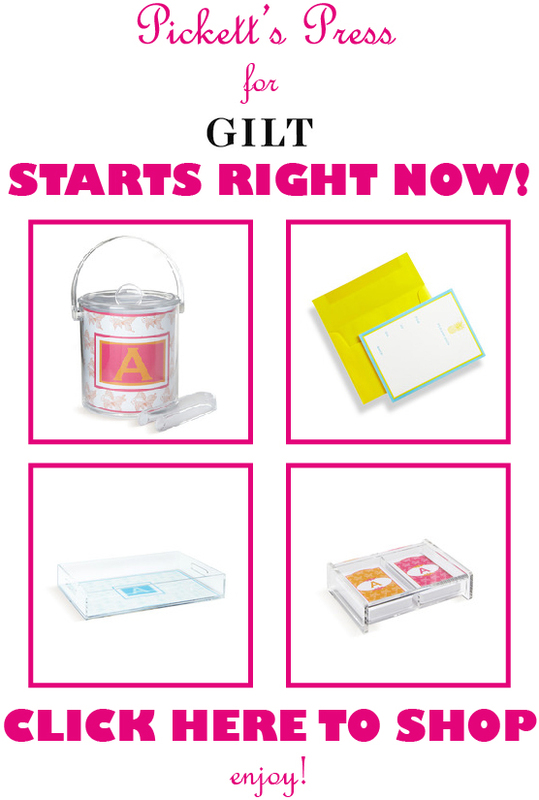 Head on over to Gilt starting 12 noon TODAY for some amazingly chic Pickett's Press deals. You can choose from a wide range of our fabulous letterpress boxed notes, as well as customizable monogrammed lucite trays, ice buckets, playing cards, memo notes, and beautiful desk pads. Don't wait, shop now! Copyright © 2012 Pickett's Press, All rights reserved.